We offer three main service packages for your convenience. For more information, see the General Price List for the location you are interested in. 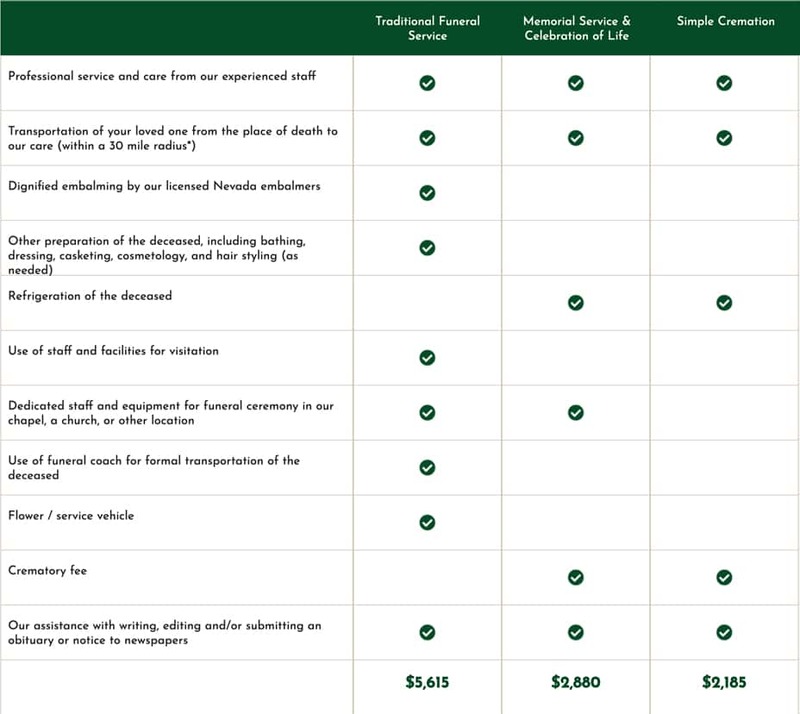 Note: Due to the wide variety of options available, no merchandise (such as caskets or urns) is included in the above pricing. This information is not a substitute for the General Price List required by the Federal Trade Commission, which is available upon request. *Additional mileage charge of $3.50 per mile beyond 30 miles, one way.